This guide to the Late Roman Army focusses on the dramatic and crucial period that started with the accession of Diocletian and ended with the definitive fall of the Western Roman Empire. This was a turbulent period during which the Roman state and its armed forces changed. 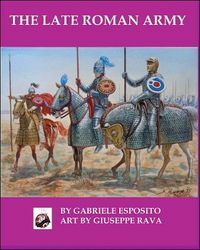 Gabriele Esposito challenges many stereotypes and misconceptions regarding the Late Roman Army; for example, he argues that the Roman military machine remained a reliable and efficient one until the very last decades of the Western Empire. 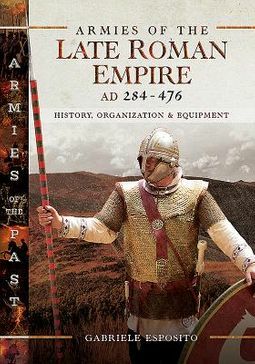 The author describes the organization, structure, equipment, weapons, combat history and tactics of Late Roman military forces. 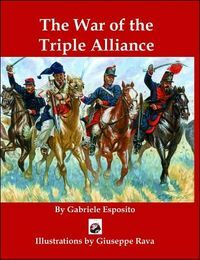 The comitatenses (field armies), limitanei (frontier units), foederati (allied soldiers), bucellarii (mercenaries), scholae palatinae (mounted bodyguards), protectores (personal guards) and many other kinds of troops are covered. 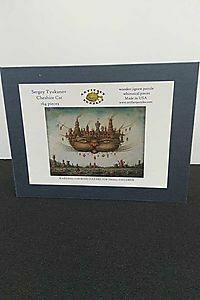 The book is lavishly illustrated in colour, including the shield devices from the Notitia Dignitatum. The origins and causes for the final military fall of the Empire are discussed in detail, as well as the influence of the 'barbarian' peoples on the Roman Army.